Sto Brick Slips | Facade Finishes | Sto Ltd.
Sto-Brick Slips are manufactured from synthetic render, providing the same durable, weatherproof properties as Stolit, but with a simulated brick appearance. Compatible with all Sto facade systems, you can match the design of nearby buildings without compromising on external wall insulation. 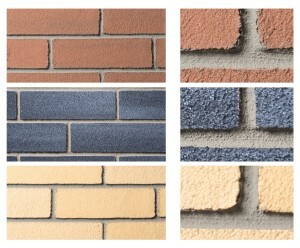 Sto-Brick Slips are available in six standard brick colours, or can be custom-made in any colour or size as required.